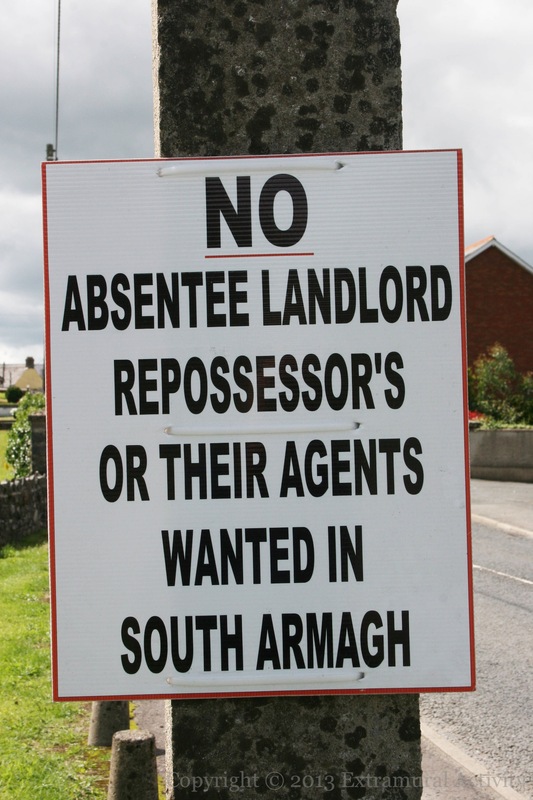 A sign in Crossmaglen/Crois Mhic Lionnáin: No absentee landlords repossessor’s or their agents wanted in south Armagh. 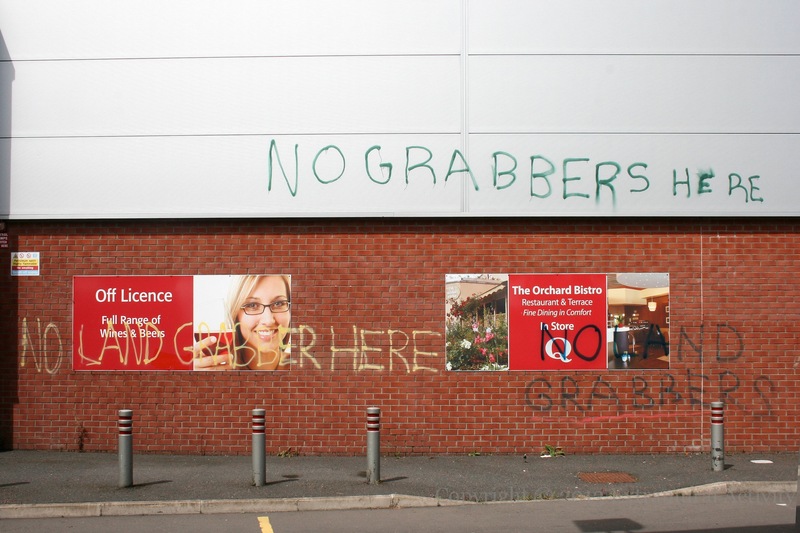 The sign is presumably in relation to the shuttered Quinn’s supermarket across the street, of which there are three images below. 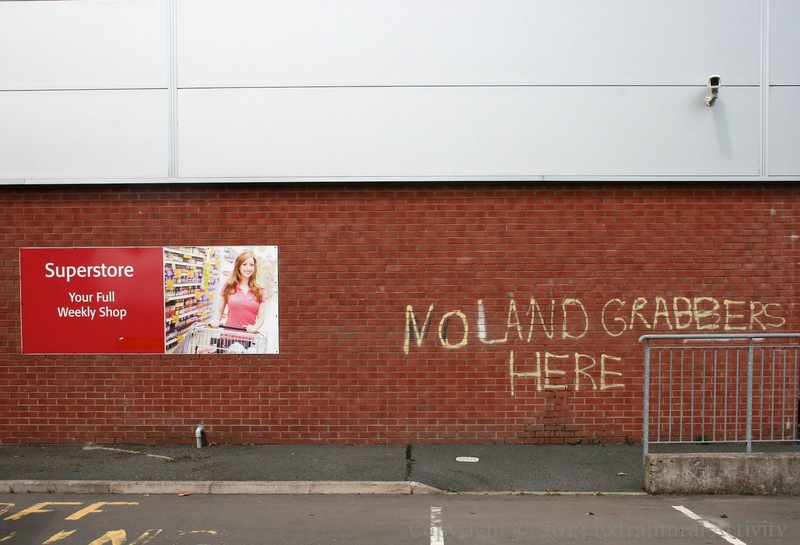 The graffiti reads ‘No Sale’ and ‘No land grabbers here’. 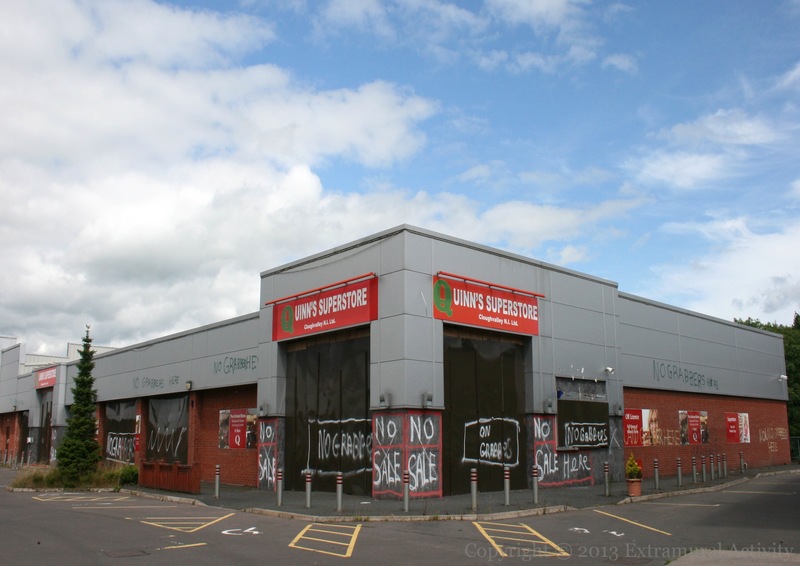 The supermarket closed in June, 2013 (Crossmaglen Examiner).